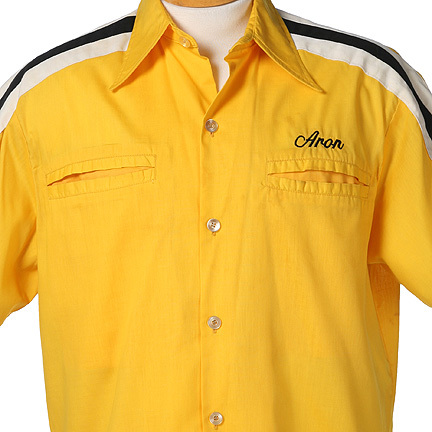 This signature shirt was worn by the background character “Aron” in the 1983 comedy, “Stroker Ace”, starring Burt Reynolds. 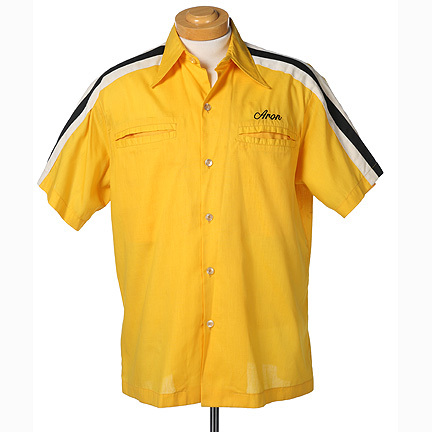 The yellow cotton short sleeve shirt was customized for the film with “Aron” embroidered over the left pocket. 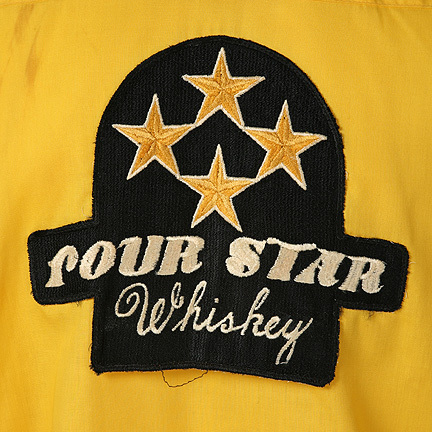 The NASCAR team logo “Four Star Whiskey” patch for the racer “Aubrey James” (Parker Stevenson) is sewn on the verso. 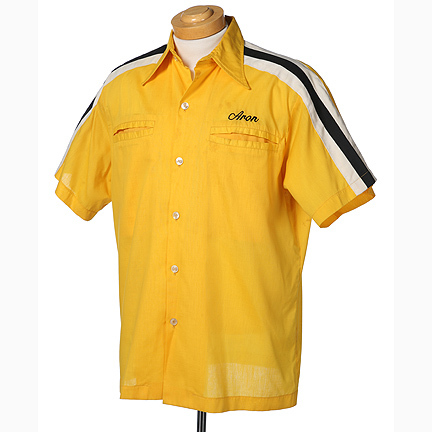 Background pit crew actors can be seen wearing these shirts throughout the film, most notably during racing sequences and pit crew scenes. 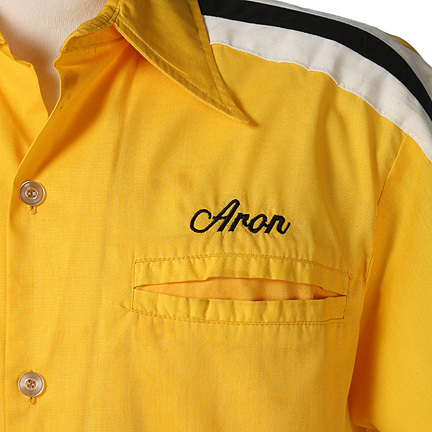 The sponsor patches worn were removed for use on subsequent productions. 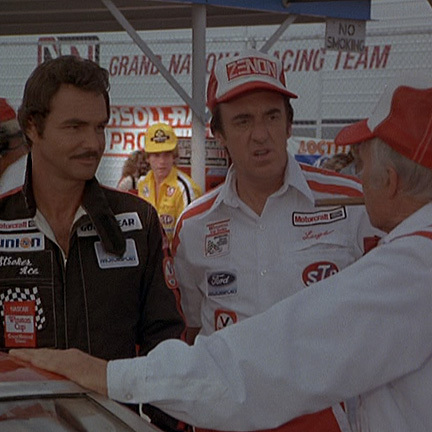 “Stroker Ace” is a 1983 comedy directed by Hal Needham and stars Burt Reynolds, Jim Nabors and Ned Beatty. 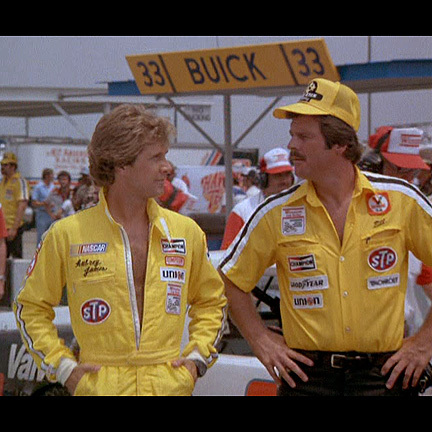 The title character is a famous NASCAR driver who quarrels with his car’s sponsor “Clyde Torkle” (Ned Beatty). 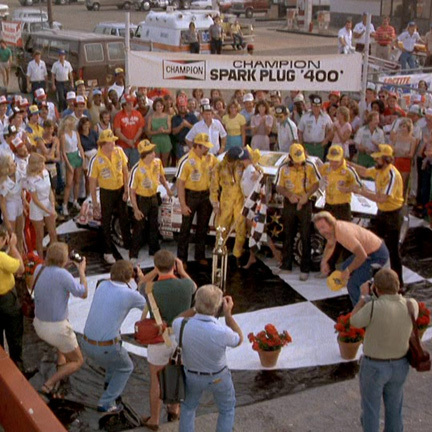 Mr. Torkle owns a fried-chicken company and uses a demanding contract, often embarrassing Stroker to dress up like a chicken, film goofy commercials and be the ridicule of the racetrack. 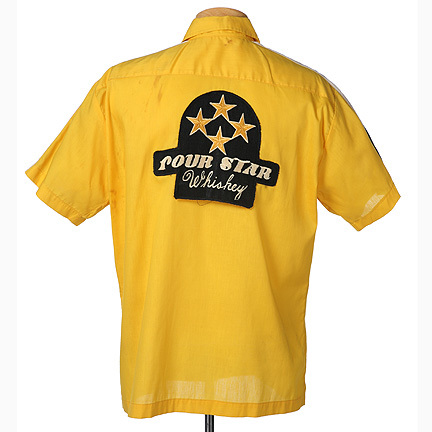 The item is accompanied by a letter of authenticity from the costume house.